In the last 166 years, OMEGA has established a reputation as one of the world's great watch brands. Masters of the traditional art of watch making, the brand has proved itself to be among the industry's most adventurous pioneers, with a determined effort to increase the precision and improve the reliability of timekeeping instruments that has led to ground-breaking innovations in watch making and sports timing. With a prestigious 150 year history, Omega has pursued excellence in the art of timekeeping with carefully crafted watches that have been supplied to pilots, sailors and even James Bond. With a functional heart and artisinal aesthetic, Omega's key watch series include the Speedmaster, Seamaster, De Ville, Railmaster, Constellation among many others with the love of technical precision in the careful and considered art of watchmaking. The OMEGA watch range at Ernest Jones includes the famous OMEGA Seamaster, Speedmaster, De Ville and Constellation ranges. These stylish, technical and elegant watches for men and women encapsulate a tradition of excellence in timekeeping, innovation and style. In the 160 years since its foundation OMEGA watches has established itself as one of the world's great watch brands. As part of the Swatch group, OMEGA has access to the latest research and development and is the industry's most adventurous pioneer, constantly increasing the precision and reliability of its timekeeping instruments leading to groundbreaking innovations in watch making and sports timekeeping and history. The recent celebration of the 50th anniversary of the OMEGA Speedmaster recalls the exemplary expertise that led to its launch in 1957 and the extraordinary adventure that culminated in it becoming the Moon Watch 40 years ago in 1969: there is nothing else like it. Today the OMEGA Speedmaster Professional testifies to the audacity and courage that has taken astronauts to the Moon and to the reliability and precision of the watch that helped bring them back. At the dawn of the third millennium, OMEGA presents an innovation that redefines the entire theory of mechanical watchmaking. The escapement is the heart of every mechanical watch and the basic theory behind it has remained unchanged for over 200 years. Today, OMEGA breaks the mould with a totally new design, the Co-Axial escapement, developed in conjunction with master watchmaker George Daniels. The new design is based on double Co-Axial escape wheel, a lever with three pallet stones and impulse stone on the balance roller, together with a free sprung-balance. The Co-Axial system reduces sliding friction compared with the lever escapement and thus ensures greater accuracy over time. More proof that OMEGA's pioneering spirit is alive and well comes in the shape of Hour Vision, the elegant new De Ville range of prestige mechanical timepieces based on the revolutionary OMEGA calibre 8500/8501. The exclusive in-house movement at the heart of the new collection features an enhanced version of the OMEGA exclusive Co-Axial escapement that guarantees greater precision and reliability over time. The OMEGA watch collection is truly out of this world and available now at Ernest Jones. OMEGA was founded by Louis Brandt in 1848 and the brand has been making history ever since. Whether putting a man on the moon, being worn by James Bond, serving as official timekeepers at major sporting events, or inventing the co-axial excapement, OMEGA has been making horological history for over 150 years. OMEGA was founded in 1848 and was one of Switzerland's first industrial manufacturers of wristwatches by 1900. This put them at the forefront of the 20th century watch industry and established them as leaders in one of the worlds' most advanced and challenging watch markets. In the early 1960's NASA started using OMEGA chronographs, switching to automatic chronograph wristwatches in 1969. The moon landing on the 20th July 1969 was one of the greatest achievements in human history. To celebrate this momentous event, OMEGA joins the world in celebrating the first moon landing by releasing the OMEGA Speedmaster Professional Moonwatch Apollo 11 40th Anniversary Limited Edition watch. Powered by the OMEGA Calibre 21 movement, which is the same movement used in the original moon landing timepiece. The OMEGA Speedmaster was the watch Neil Armstrong and Buzz Aldrin wore on the first moon-walk. The Seamaster also helped to salvage an almost disastrous mission by allowing the Apollo XIII crew to time the critical rocket burns to put them on a safe trajectory back to Earth. All subsequent manned NASA missions have also used this hand wound wristwatch. The commemorative watch also features screw details, a black dial, sub dials, an Apollo 11 medallion, an emblem of 02:56, the exact time that Apollo touched down and features a dial protected by hesalite for ultra toughness. Since 1932 OMEGA has served as Official Timekeeper for the Olympic games 23 times, including the recent Beijing games in 2008. OMEGA has also acted as official timekeeper for world-class international sports championships in athletics, swimming, golf & sailing to name but a few. Following on from these interstellar achievements and through ongoing research and development, OMEGA has developed such extraordinary achievements as the revolutionary Co-Axial escapement, designed by the English watchmaker George Daniels. Launched in 1999 the Co-Axial is today considered to be one of the 20th century's major innovations in mechanical watch making as it is the first mass-produced watch incorporating the Co-Axial escapement. The Co-Axial escapement functions with virtually no lubrication, thereby eliminating one of the shortcomings of the traditional lever escapement. Through using radial friction instead of sliding friction at the impulse surfaces the OMEGA Co-Axial escapement significantly reduces friction, theoretically resulting in longer service intervals and greater accuracy over time. OMEGA is a prestigious brand, combining flair with timekeeping precision. OMEGA has created iconic watches over its 150 year history and continues to lead the watch market in style, innovation and technology. The OMEGA Seamaster is renowned for being the watch of choice for James Bond. Available at Ernest Jones the OMEGA Seamaster is available in 5 lines, the Aqua Terra, Diver, Diver Bond and Planet Ocean. A stylish watch for action men and women, the Seamaster collection features a stunning selection of chronographs with supreme water resistance in a variety of elegant and functional styles. Featuring the OMEGA Co-Axial escapement, the De Ville range of watches offer style, glamour and technology. Classic designs combined with the very latest technology for a stunning range of watches for men and woman. 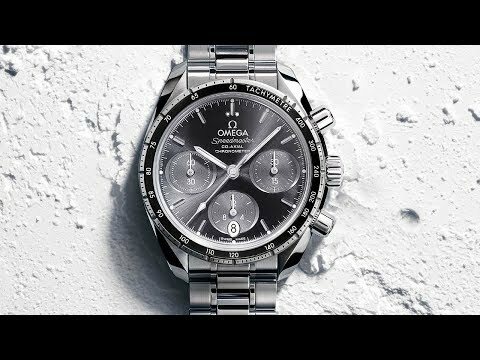 The OMEGA Speedmaster collection at Ernest Jones features the Moonwatch and Legend. Stylish watches for men and women featuring a choice of chronograph bracelet watches. The OMEGA Constellation collection at Ernest Jones features a selection of stylish watches for him and her with glamorous designs and the finest technology. Featuring a selection of watches from the Constellation series including the Double Eagle men's watch, this is a stylish range of watches for glamorous men and women. Throughout their history as Official Timekeeper of the Olympic Games, OMEGA has helped to capture some of the most remarkable sporting moments. With victory coming down to milliseconds, it has been their passion and duty to play a part in this illustrious event. As the Olympic Games have evolved over time, and athletes have become faster and stronger, OMEGA's own excellence in timekeeping has also continued to grow. On 26 occasions since 1932, OMEGA has fulfilled the prestigious role of Official Timekeeper at the Olympic Games. Under their watchful eye, records have been set and broken, history has been witnessed and legends have been made. No matter the year, the Olympic Games have always delivered a multitude of great moments in time. Now, as the world's attention turns to Rio de Janeiro, the brand will assume its duties for the 27th time. Surrounded by the colour and culture of this vibrant city, OMEGA will work with the enduring commitment and passion that has sealed their unrivalled reputation. Rio de Janeiro is a city full of life. It is the first place in South America to host the Olympic Games and the perfect location for athletes and spectators alike. Inspired by this dynamic spirit, OMEGA has created the Seamaster Diver 300M "Rio 2016" Limited Edition. The timepiece is a combination of watchmaking expertise and unique craftsmanship. Beginning on the city's famous beaches, OMEGA have taken the wave pattern from the mosaic design on Copacabana's sidewalks and used it as inspiration for a similar style on the watch's lacquered black dial. The uni-directional rotating diving bezel is also black, this time made from black polished ceramic. However, what truly sets this feature apart is the lacquered numbers in red, green, yellow and blue. These represent the exuberance of Rio as well as the five colours of the famous Olympic rings. Of course, the event itself has been commemorated in exquisite fashion. On the reverse side of the polished and brushed stainless steel case, the screw-in caseback has been stamped with the "Rio 2016" logo and engraved with an individual Limited Edition number. Other features of this timepiece are typical of the iconic OMEGA Seamaster 300M style. These include a date window at 3 o'clock, a helium escape valve at 10 o'clock, and polished facetted skeleton rhodium-plated hands coated in white Super-LumiNova. Presented on a stainless steel bracelet, the timepiece is driven by the exclusive OMEGA calibre 2500 and is water resistant up to 30 bar (300 metres / 1000 feet). Browse our range of Omega's most famous and historic watches, with brand new designs and signature Master Chronometer precision. Sharp lines and simplicity are key on this model, with its stainless steel case and bezel, which includes a tachymeter scale on a black aluminium ring. The sun-brushed grey dial includes horizontal oval subdials and a vertical oval date window at 6 o'clock. The escapement - the heart of every mechanical movement - had remained unchanged for some 250 years. Our Co-Axial escapement defined the tradition, delivering less sliding friction, greater mechanical efficiency and outstanding chronometric performance over time.